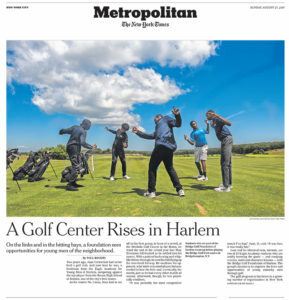 Reporter Paul Rogers and photographer Johnny Milano spent weeks chronicling our young men’s work and play over the summer, from their daily STEM lessons in Harlem to their time in Bridgehampton, where they worked on the grounds crew and their golf games at The Bridge. 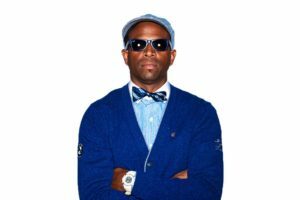 They focused on Juan and Antonio Cortorreal but also featured other students; our founders, Bob Rubin and Farrell Evans; and our STEM and golf teaching staffs. 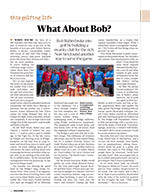 Michael Bamberger wrote about our Co-Founder, Bob Rubin, and the Foundation for Golf Magazine and Golf.com. 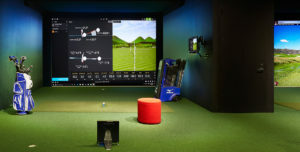 The unique design of our Learning Center, courtesy of New York studio G TECTS, was featured in The Architect’s Newspaper. 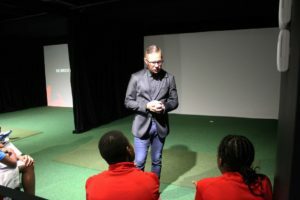 Golf Digest wrote about Sean Foley’s inspiring visit with our young men. 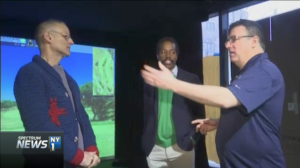 Shortly before the opening of The Bridge Golf Learning Center in Harlem, NY1 reporter Roger Clark interviewed co-founders Robert M. Rubin and Farrell Evans, logged some time on one of our Trackman simulators with Teaching Pro Brian Hwang, and spoke with STEM Co-Teacher Veeshan Narinesingh about our after school program.